China’s Great Climate Joke: Switching to Gas, Made from Coal | Watts Up With That? BEIJING (Reuters) – When an inspector from a local environmental protection bureau visited a small village in China’s Shandong province in October to check on a gasification project, she said village officials became tearful in lamenting how far behind schedule they were. The boilers are part of an ambitious gasification program under which millions of households, and some industrial users, are switching from coal to natural gas for heating, as Beijing tries to clean the tainted air in northern China after decades of galloping growth. “Everyone’s job is linked to whether we can meet the target,” the environmental protection inspector said, declining to be named and refusing to identify the village due to sensitivity of the matter. Information about China’s carbon intensive plans to fix their gas supply problems is sparse – perhaps China is keen to maintain a fiction of climate leadership. But the plan to generate vast quantities of gas from coal has been in place since at least 2014. On the outside, it looks like any other modern energy plant — shiny metal towers loom over the grassy grounds, and workers in hard hats stroll the campus. But in those towers, a rare and contentious process is underway, spewing an alarming amount of carbon dioxide, the main greenhouse gas accelerating climate change. The plant and others like it undermine China’s aim of being a global leader on efforts to limit climate change. The plant, in the country’s far west, converts coal to synthetic natural gas. The process, called coal-to-gas or coal gasification, has been criticized by Chinese and foreign scholars and policy makers. For one thing, it is relatively expensive. It also requires enormous amounts of water, which exacerbates the chronic water crisis in northern China. And worst of all, critics say, it emits more carbon dioxide than traditional methods of energy production, even other coal-based ways. Despite such denunciations and a continuing policy debate, at least four such plants have begun operating in China in the past four years, pushed by local governments and state-owned enterprises in coal-rich regions. Dozens more have been under consideration. No other country is considering building coal-to-gas plants on this scale. Why is coal gasification so carbon intensive compared to simply burning coal? To produce gas from coal, more than half the coal has to be converted into CO2 just to produce the gas. More coal may have to be burned to maintain the extreme pressures and temperatures required for this chemical process. This wasteful conversion process effectively doubles the amount of coal required to deliver the same energy. The hydrogen from the gasification process can be combined with yet more coal to produce methane or propane or other hydrocarbons. At least some steps of the process are exothermic, so some of the heat from the reaction can potentially be recovered and used to power the system. But the process is still very wasteful – think tar sands on steroids. The process is economically viable, despite the waste. Similar processes were used in the early 20th century by Western countries, to provide town gas to households. The need to alleviate politically embarrassing and potentially life threatening gas shortages will make it difficult to refuse the coal gasification plan. The coal gasification plants will alleviate the heat and power gas shortage, improve Chinese energy security, and will drastically reduce pollution in major Chinese cities. More coal will be burned, far greater quantities of CO2 will be emitted, but the pollution from burning that coal will be shifted away from heavily populated cities to remote coal mining regions. December 26, 2017 in Coal. UK ‘town gas’ was hydrogen and carbon monoxide. For those who could afford coal. 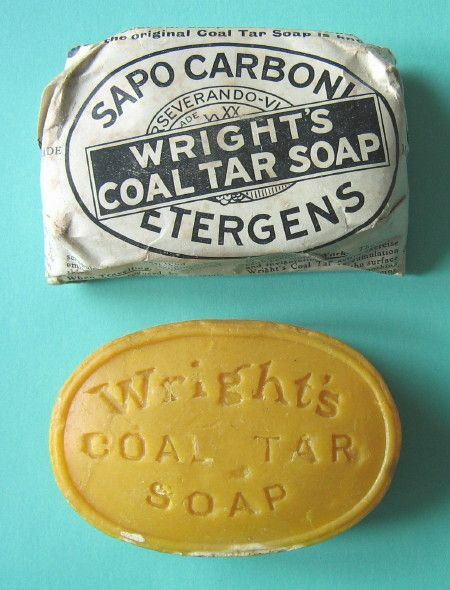 There was a time in my life when my parents could not afford coal. Just in case someone didn’t get AndyG55’s reference. Thanks for that – I have never seen that sketch, only the Python version. The worst pollution anywhere is burning timber, peat or dung. Open hearth coal burning was an improvement and was rapidly replaced by efficient stoves, “Kosi” being one brand of note. Coal is of course most effective when burned centrally to generate electricity. Thanks to coal, the forest of Britain and Europe were saved. “Thanks to coal, the forest of Britain and Europe were saved.” Except – they’re not! The Greens are busily chopping down the world’s forests because (a) they need the space to build wind turbine farms. (b) they need the space to plant oil palm plantations. Or worst of all, (c) they need to BURN the wood “to save the world from poisonous CO2”. Ghraa! And thanks to rock oil replacing whale oil for lamp fuel, JD Rockefeller can rightly be claimed to have saved whales from extinction. Hard wood fires can be quite clean. Properly constructed and dried dung makes for a good hot fire. Inefficient stoves made/make for smoky fires. ..More coal will be burned, far greater quantities of CO2 will be emitted, but the pollution from burning that coal will be shifted away from heavily populated cities to remote coal mining regions…..
Er…decent filtering will take care of the dangerous pollutants, and, of course, CO2 is not a pollutant, but rather a fertiliser…. CO2 is not a pollutant, but rather a fertiliser…. CO2 is way more than fertilizer, it’s just as important as water and sunshine. It is an essential component of life on earth, because food production via photosynthesis depends on CO2 Sunlight and water. Remove any one of that important trio and we perish. It’s a wasted step to convert it to gas first. 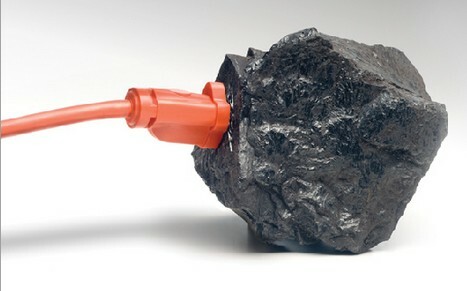 Better to use the coal (centrally) to produce electricity. Not really. Chinese coal plants are quite inefficient, and you have twice the mining pollution (which is quite significant). Plus, you are doubling the consumption of a finite resource. This practice has some positives, yes, but the negatives are both real and significant. Maybe its a distribution issue? I think the desire for gas rather than electricity might be a security of supply issue. Gas can be stored in local holding tanks much easier than electricity can be stored. There is something weird about the way China runs its affairs, my impression is none of the local authorities seem to trust each other – the issue might be competition between local administrators to be seen to be doing the best job, in the hope of getting a promotion up the Communist hierarchy. You can see evidence of this in the strangely competitive way they botched their gas conversion project. Having a few days reserve during periods of extreme demand is a buffer against capricious acts by administrators upstream on the supply line – buys enough time to complain to the central government if you get cut off. Air pollution that the Chinese are worried of does not come from CO2. There are other outputs of burning coal that are harmfull. Just reduce these or switch to gas without conversion from coal. Yes, they can reduce the pollution using scrubbers. Gasification means the coal is being consumed in large plants. That makes scrubbers practical. If the coal is being consumed in stoves in people’s houses, scrubbers aren’t practical. Gasification could result in a lot less pollution even if twice the coal is consumed. we know that CO2 is not a problem so who cares. To be fair there is a huge supply just north of them in Russia. Maybe that is what he meant? Just my SWAG. So if Griff turned up and said, as he usually does,…”just switch to renewables..” would be OK? I think you and Griff must be playing SimCity BuildIt too much. Reinstate the Mao restriction on farting. Anyone so releasing such personal expression is an Enemy of the State, and should be composted for fertilizer. How do you think North Korea is making so much Kim Chee? 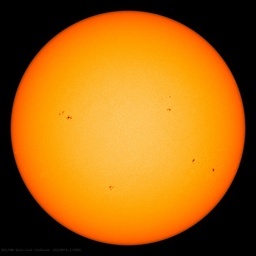 … the main greenhouse gas accelerating climate change. Instead of ‘causing climate change’. Yeah, slippery bunch eh?. Just the way the term global war……Catastrophic anthrop….climate change altered to take account of a shift in perception/priorities. Or is it now climate instability………? I still want to know if an average change in temperature really amounts to “climate change”. 2 degrees warmer or cooler here (on average) does not change the fact that this area of the country has a temperate climate. Good point Ed. You can’t unnaturally accelerate something that is not happening naturally. And if it naturally stops and reverses we will be unnaturally decelerating the natural trend towards total disaster and annihilation. It is an interesting viewpoint: that anything mankind does is unnatural. Soon we will be making electricity using boron and lasers. What could be more unnatural that that? When we reach that level of sophisticated science, we an just react the carbon in the coal with oxygen and put it back in the atmosphere where it belongs. The farms will reward us. I hadn’t noticed that. Subtle yet does walk back a bit from the “control knob” meme. Good catch. This strategy makes perfect sense if the aim is to reduce the toxic air pollutants. Domestic burning of coal for heating and cooking is the main cause of air pollution in many areas. It is easy to filter out of these pollutants in a central facility. You didn’t hear about it because Elon Musk isn’t involved. It has already been tried in Sweden for the ferries across Öresund to Denmark, a distance of about 2.5 miles. Unfortunately it has proven impossible to charge the batteries enough to last the entire trip. I am very skeptical about making it work over 50 miles unless they plan to load/unload very slowly. I believe that the USA has had Electric Marine Vehicles for many years. Every Nuclear Submarine is Electric and generates ZERO carbon during usage. They can also travel for 6 months at a time without fueling and can circumnavigate the globe without refueling either. 50 miles on a battery is really just a toy. Sounds like a pile of Musk if you ask me. China has 55 or so conventional diesel-electric submarines. This may be part of an experiment to develop LIthium-Ion replacements for lead-acid batteries which submarines still use. No sensible submariner, they are VERY safety conscious, would bottle themselves up with a multi ton bomb that can malfunction and explode inside the pressure hull. From most of what I’ve read and experienced lithium-ion batteries can spontaneously self-ignite and cause a fire/explosion. Internal defects in the anodes and cathodes can develop defects that short circuit an individual cell. This is the problem behind the FAA actions to totally ban lithium ion powered devices from airplanes. Bulk shipments of batteries by air freight are already banned. The huge increase in cell phones, pads, and laptops using lithium ion batteries is a big safety concern. Agreed. It will be a long time before lead accumulators are replaced in submarines. As a matter of fact they too are far from completely safe if damaged and/or flooded, but at least they are robust and there is a lot of experience in handling them. By the way check the USAF rules for air transport of li-ion powered devices. It is not a complete prohibition, but extremely tight physical monitoring and fire-fighting equipment is required at all times. There are several chemistries for Lithium batteries. Lithium-ion has the most dense power, but does have the potential to self-destroy in a spectacular manner. Lithium-Carbon monofluoride batteries are safe enough to use for implanted pacemakers. Remember the Kodak disc camera? Each disc had its own Lithium battery and the safety test was whether a small boy with a hammer could make it hazardous. It passed that test. In between we have Lithium-Iron Phosphate (slang term is LiPo) that is almost as good as lithium-ion, but does not have the tendency to self immolate. And 2200 tonnes is really a drop in the bucket for maratime shipping. Currently, traditional small cargo vessles cary 20,000 dry tonnes so this would require at least 10 times the battery capacity and then either 10 times the recharge time (20 hours) or 10 times the recharge capacity to recharge in 2 hours. Large Cargo Vessles carry up to 550,000 wet tonnes and thereby would need 250 times the ammount of batteries and then either 250 times the recharge time (500 hours) or 250 times the recharge capacity. Given current technologial limitations, for electric maratime shipping, nuclear is truly the only viable option. This may not make sense if CO2 emissions is the only problem in mind, but the main objective here is to reduce the pollution in the cities. Diesel powered ship traffic contributes to particulates, NOx and SO2 pollution, but modern coal fired power plants have negligible emissions of those pollutants. Coal to gas and other fuels/chemical products was also done by the Germans in WWII, when their oil supply was blocked. The same for South Africa, where the Sasol plant produced oil products and chemicals during the economical sanctions in the past and up to now, but they can use natural gas too as feedstock, depending of costs. I remember the UK switch to natural gas. The old gas works stank but nobody complained, there was nobody to complain to. The major change was the fitting of non-closeable, plastic vents to the windows. After a couple of weeks my father put the glass back. The street outside was lit by gas, I presume they changed that too. I seem to recall that some stink had to be added to the natural gas, otherwise there was no easy way to detect a leak. There is another benefit of gasification of coal that seems to have been overlooked here. It also produces a smokeless fuel, coke. There was nothing better than having a brazier of coke nearby if you had to be outside on a cold day. Even though I am sitting here in the tropics, the memory of coke gives me a warm feeling. As they say, things go better with Coke. If they are making coke, they are losing gas. The idea is to spray water on the coke bed to make H2 and CO. Coke is a loss of CO. Obviously you could produce both if there was a reason to do so. In the Netherlands tetrahydrothiophene is used as a warning agent in natural gas. They could use stink bugs, e.g. odor_ants. The switch to gas is purely intended to get rid of toxic emissions from coal burning in cities. I’m assuming they will produce hydrocarbon gasses, the process seems to be aimed at substituting synthetic gas for natural gas. The heat of combustion from generating gas will not be produced where it is needed, so will likely in many cases be discarded. The idea is to generate the gas in remote coal producing regions. Common use of coal gasification is for electric generation so syngas in burned where it is produced. Transporting syngas is not economic because its energy density is only one-fourth of natural gas. Btw, coal gasification is endothermic so my computation of net heat excludes recycling of waste heat. I didn’t notice the first step was endothermic, but that makes sense – the gasification process described in Wikipedia includes oxygen in the production of CO and hydrogen, presumably the addition of oxygen at some stage provides additional heat – at the cost of burning coal to CO2 to produce that heat. water is returned upon burning. Notice that electric powerplants are external combustion steam engine, not internal combustion engine. Your chemical equation is for autothermal coal gasification where combustion and gasification occur in the same chamber. My equation is allothermal where combustion and gasification are separate processes. Since gasification is endothermic, you need a heat source from combustion of coal or syngas or other fuels. Electric power plants can be external or internal combustion engine. Gas turbines and four-stroke engines are internal combustion that are also used for electric generation. Until we can get past this assumption of CAGW (or maybe it should be CACC now?) in reporting and opinion writing, I’ll still have the feeling we’re fighting an uphill battle. A lot of Southern state Australians retire to warmer climates, usually to Queensland or Northern New South Wales. Notice the location of the mentioned coal gasification plant: on the border far away from China’s big cities, so less PM 2.5, PM 10 etc. for most Chinese and more for the neighbouring countries. Similar to how nuclear power plants were located on borders in Western Europe – the EU. Devious and shortsighted. It appears this was not a well thought out policy on China’s part. In fact, I’d say it was idiotic. They should have known that gas supplies would become an issue with such a huge conversion. Where did they think all that gas was going to come from? At least some of the conversion could have been to electric, taking some of the pressure off gas supplies. Coal gasification is an absurdity, made a necessity only due to stupidity and lack of forethought. I think the Chinese may be reserving some of the future electricity supplies in order to mine Bitcoin. You cannot run ASICs on coal or gas! I think the legacy of 5-year plans from the days of Mao are still alive and well in the modern Chinese bureaucracy. China tried to get in on the frack gas revolution a la USA a few years ago but it didn’t work out despite apparent very large hydrocarbon shale areas. Only the US and Canada pushed the technology forward with continuing innovation. Actually the shale revolution never really got rolling in North America until just a decade ago after persevering since 1947. China is a copier, not an innovator. I believe US/Canadian frack companies could likely put China (Poland and orhers who’ve tried unsuccessfully) into production. Expertise:I wrote a report in 2015 “Proppants: North American Industry Markets and Outlook” as a contractor for Roskill Information Services in UK. (proppants are natural and manufactured frac sands). It provides a world review of proppants and related potential oil and gas. This isn’t a sales pitch mods unless someone has a few grand to buy a copy and I have already been paid! Gas coke was used by Abraham Darby to produce cast iron from 1709. Of course, the Chinese were using coke before the 9th century AD. Perry: Went to Telford almost 20 yrs ago to a ceramics conference by rental car from Birmingham and came upon ‘Iron Bridge’ the world’s first ‘steel bridge, built in the eighteenth century, perhaps having used the coal gas method to produce the cast iron. This remarkable structure is still maintained and looks fairly modern. And that you guys would throw your lot in with the continental totalitarians to run your lives for you! I think the UK should be designated a heritage culture that gave so much to the world. Of course, you are mainly made up of a demographic that has not been offered membership in diversity. Anyway, wear the Deplorables’ badge proudly. Their strategy may be to nuke the coal, so to speak. Build lots and lots of nuke facilities out in peasant land which are used to produce gas from coal during non-peak load hours. They would even be able to use the nuke plants to power manufacturing of liquid synfuels. China has plenty of uranium (5% of worlds total) but much less proven thorium. China is applying lots of resources to develop thorium reactors. If the India-Israel relationship continues to improve, there will be two huge nations switching to thorium power which will be truly revolutionary. And remember, energy is life – cheap energy is prosperity. China has access to foreign uranium via its mining forays in Namibia. This misrepresents the point. ‘the pollution’ refers to the CO2 only. Modern coal burning is vastly less polluting than old Chinese copies of Soviet power stations. Let’s keep the real pollution separate from the CO2 discussion. One of the Chinese Greens bemoans the additional CO2 compared with burning coal directly for heating. Well, burning coal correctly and directly is going to produce less CO2. That’s a fact. Some uses of coal, particularly space heating, are very efficient. As close observers will know, I have just been visiting Kyrgyzstan where in the capital, Bishkek, there stands a brand new power plant on the same site as the old power station. It has been turned off all summer. Now that it has become unseasonably cold early, it is on and generating electricity to be used for resistance element heating of hot water systems in homes. What waste heat there is, is piped through the inner city as part of the energy from the old system. This district heating plus electricity generation for heating Is extremely efficient. The implication in the article above is that burning coal ‘creates pollution’ meaning ‘smoke’. There is no smoke hidden inside coal. Smoke is unburned fuel. Power stations no longer waste fuel. The new Chinese plant emits steam only, plus CO2. The old plant emits steam plus a lot of fine white flyash because it is not fitted with scrubbing, plus CO2. Side by side, the comparison between vintages is stark. The new plant is functionally smokeless, just like a modern space heating stove or low pressure boiler (furnace). The article above should have been far more circumspect about making claims for energy wasted creating coal gas, a process very well understood and used, for example, in the Fischer-Tropsch process used by SASOL. The process requires a large amount of oxygen. The efficiency of its production impacts the final answer. If greens want to investigate energy fractions invested in output, wind turbines are a fat target for them, and as such, look quite poorly compared with the far lower tech solution of coal gas. I get the impression that the greens would like the Chinese population in the north to spend the winter huddled around a mud stove burning corn stover while hand-coiling the copper windings of laptop power supplies destined for the desks of uber-illuminated Western climate protectors. Hey! Green wind turbine promoters all! Power thyself. Extremely good points on this purposely spun subject. The group think on CO2 pollution is continuously astounding. Thank you for the real info. The nation’s first large scale “Greenfield” LNG (Liquified Natural Gas) plant will be built In Corpus ChristI Texas this year. The vast reservoirs of clean buring, low cost natural gas found in the Eagle Ford shale play in South Texas discovered by the combination of directional drilling and State of the art hydraulic fracturing will be a Global game changer. The reserves are so huge it effectively makes the U.S. the Saudi Arabia of natural gas. The facility will be the first of many. LNG tanker technology will also be scaled up for delivery of this miraculous fuel world wide with China targeted as one of the main customers but other nations in Asia and Europe will benefit. Another huge benefit is that it will no longer be necessary to build gargantuan fields of wind turbines in environmentally sensitive areas in the U.S. Nearly everyone agrees these massive structures are so unsightly and their numbers so huge that they have become an intolerable blight on the pristine landscapes in Scotland and Texas and everywhere they are put up. They are now plans to encroach on the beautiful offshore coastlines in Texas as has already occurred the UK. Environmentalists and recreational fisherman have teamed up to thwart further proliferation of these inefficient structures both on land and in the sea. Natural gas will supplant both coal and wind as the logical alternative and most cost effective fuel for electrical power generation. It is cheap, abundant, extremely clean burning and far more reliable than wind or solar. It requires a tiny environmental footprint compared to wind and solar and America has almost limitless supplies as more and more is extracted from old oil play areas once thought to be exhausted. LNG is the future of electrical power generation and the U.S. is in the driver’s seat, poised to dominate this market. You need to do some more research. Cheniere Energy’s Sabine Pass LNG facility has been exporting LNG for at least to years. The Chinese shortage of gas today is because they are a centrally directed society and when Xi Jinpeng says “jump” people jump. The US is headed for a worse problem, just more slowly, but like the wheels of God, these wheels are going to grind very fine. Due to Obama’s EPA finding of harm from CO2 there are over 250 coal fired units to be shut down in less than 10 years. The utility industry has decided that it would be futile to fight this in court. This finding of “harm” was done in court, Trump cannot reverse it. The coal fired units are to be replaced with gas fired ones. Only problem – we don’t have the gas. When gas prices go through the roof in about 8 years don’t say you were not warned. That should be enough to put a fork in the US economy. I believe that the courts merely ruled that the EPA had the power to declare CO2 harmful. The harm ruling itself was an administrative action taken by the EPA and is reversible. That’s interesting, and actually makes sense (the part about the EPA being able to determine what is a pollutant). You are wrong on the EPA Endangerment Finding. JerryC is correct. The Supreme Court ruling only ruled that the EPA had the authority under the CAA to make an endangerment finding. The court’s 5-4 ruling did not go to the scientific validity of that finding. They did not examine the internal science panel results that the EPA used to justify the finding. The endangerment finding can be reversed because it was based on science, and science throughout history often reverses itself when new data reserves conclusions that were based on erroneous data. In plain language, Justice JP steven’s acknowledges that science can change its mind and thus allow the EPA to change it’s endangerment finding. Eric, it’s called oil sands, not tar sands. Even here in the US where research in coal burning has been scant, there are a few fluidized-bed coal plants that have been working for some yrs & are quite clean. If further research had been done, they could have been scaled up to 1000+ MW size by now. Oh, sorry, that’s right, coal can’t EVER be clean, because it emits plant food, er, CO2. Chinese are just building strategic reserve of fuel for the army, just in case. Worth knowing about is our own coal to NG project that has been running for something like 30 years. Dakota Gasification in Beulah, ND (https://www.dakotagas.com/). It converts low rank coal from an indian reservation to synthetic NG with carbon capture and storage producing net GHG emissions approximately equivalent to conventional NG as most of the GHG emissions from use of SNG are from the carbon in methane itself. CO2 from the process is piped to the Weyburn oil field in Manitoba across the border for enhanced oil recovery. (http://www.ieaghg.org/docs/General_Docs/Reports/PH3_20%20-%20Weyburn%20Oilfield%20-%20Monitoring.pdf). It all sounds nice when NG was approaching $14/million BTU (1000 SCF) but isn’t looking so good right now with NG in the $2.70/mmBtu range. They have looked at converting their process to other technologies such as FT fuels or Methanol, but have never made the change. Their process is clean and also produces byproducts such as tar oils that have market use and value, but the economics of the process is still suspect despite numerous fire sales of the assets which dropped the CapEX to the current owners. But no one will build another one based on new plant economics. There have been other proposals for Coal To Liquids with Carbon Capture so that vase amounts of CO2 can be generated for enhanced oil recovery in west Texas. CO2 is in short supply there, but burning coal to make CO2 and other products still isn’t economic with current crude oil prices. Quite accurate. One correction, the “coal “(lignite) does not come from an Indian reservation. The Reservation is 20 miles away more or less. Another point, true to say no one in the US would build an SNG plant because of economics, but that isn’t necessarily correct for China. They may well be able to justify the investment in the absence of economically recoverable shale deposits. Importing LNG from the US may be cost effective, but China appears to be more interested in maintaining their trade imbalance….and maximizing their labor pool. China, especially in the north has two shale basins that shoild produce copious fracked natural gas. What china does not have is the technology, and the US frackers are not going to just give that away. Coal gasification as at Edwardsport Indiana can ‘clean’ dirty (sulfur, ash) coal at a cost, feeding both residential and CCGT electricity.. This also would preserve coal mining jobs, apparently a big deal in China. Rud, they have large hydrocarbon shale areas in South China as well. I wrote a report under contract on “Proppants, North American Industry Markets and Outlook” in 2015 for Roskill in the UK. In it I also reviewed the rest of the world, too. China flooded the US market with cheap ceramic manufactured ‘frac sand’ (used in deep high pressure plays) gearing up for their own development.They failed miserably but they aren’t innovators (yet?) and attempted to copy US tech while it was still evolving. Russia was shipping good quality ceram sand made from asbestos tailings and shipping it to Duluth, MN generally in your neck of the woods, Rud. I even saw fracking as the “commoditization” of O+G since the practice of developing plays for future production during the decline in prices (and completion cost bargains that were offered) gave the industry a turn-key inventory. They also have some 60-70k wells that were fracked and can be re-entered with improved tech at low cost. This gave me the nerve to predict oil and gas prices to 2020! Which I have been asked not to share but are still in the hunt! On the bright side, China is a signatory to the Paris Accord, so everything is going to A-OK, right? The aspect I don’t really understand is that tight gas deposits that can be fracked are usually found in regions rich in coal. I can’t imagine the Chinese aren’t working feverishly on this. A point many people fail to realize is that coal and NG are natural competitors. NG prices can skyrocket due to spikes in demand, such as during the winter. US coal has taken a double-whammy, due to the “kill coal in favor of renewables” campaign, as well as the huge uptick in NG supplies due to fracking. What is needed now is a rebalancing of the scales in favor of coal. I believe that can happen during an 8-year Trump Administration. Four years won’t do it. 4 years of Trump-Pence and then 8 years of Pence-Haley would work for me. I’m not clear that the CO2 is so much. The first “half” coal produces CO2, but this is part of the feed stock.Assuming high reactor efficiency, there would be no added CO2. Of course the lower the efficiency of conversion the more wasteful and higher CO2 emissions, but this would have to be measured against a higher efficiency of the gaseous fuel, too. You may be right about the increased CO2, but you havent demonstrated it with your equations. Anyway, the thing that impresses me is the left expecting the ultra left to not be making fake news and empty promises like they themselves pump out every day. Do they think that the Chinese system unlike theirs is honest, non manipulative and unselfishly altruistic? Boy oh boy, it seems sceptics are good to have around outside of the scientific sphere ,too. Anyone here surprised at China’s skill at prestidigitation. I hear that China is the world’s primary source of coke, a necessary for steel production. They emit at their convenience. It seems to me that coke would be a more sensible solution to reducing pollution in cities. – Making it is simple, well established technology. – It can uses the existing coal infrastructure for distribution. – Many of the existing furnaces/stoves could burn it with little or no modification. – It is easy to stockpile. There is a coal gasification plant right here in the USA. The CO2 is piped to a Canadian oil field for EOR. The more CO2 the merrier, CO2 is not a pollutant, CO2 increases plant efficiency of the use of water and acts as a fertiliser, increasing productivity. CO2 has no downside and any warming of northern and southern latitudes would be a benefit, slowing the migration from cold to warm latitudes and reducing storms Win/win again.. It does seem like one of those silly centrally-planned schemes that the communist states are so good at. Unless they are doing it to produce synthetic-petroleum products as chemical feed-stock, for which there seems little strategic need at present, then why not just burn the coal cleanly to generate electricity? The coal combustion can be efficiently scrubbed at source. The Chinese already know how to do this, and they know how to transport the electricity via the grid to where it is needed. Unless they are doing it in order to promote the economics of a gas distribution grid, it doesn’t seem very sensible. But, as others point out, it may well just be due to internal politicking amongst China’s powerful bureaucrats trying to out-manoeuvre each other. Are we sure this is anything other than a gap filler? This is a rational country going nuclear plus hydro grid as fast as it can build both. And they have the largest reserves of shale gas in the World to decarbonise dirty coal with clean CCGT gas at 40% the CO2. So they will go for shale as fast as possibe, once they figure out how to make the politburo and lobbyist insiders involved rich from it, that is. They can get this done really fast, CCGT is cheapest and fastest to build, need more pipelines but that’s easy in China, just lock any protestors that appear up, or shoot them and use them to plug unproductive holes with, Tiananmen square style. Of the people, by the powerful, for the powerful. Usually picks the right solutions w/o an irrational extremist lobbyist industry to bother about. IMO. China doesn’t like being reliant on “politics” in the Middle East or Russia, anymore than the US does. The EU is stuck with it. Most coal has a lot of gas in it when it’s in situ, and coal-bed methane extraction via wells with a bit of fracking can extract most of that gas and put it to use, before the coal is mined. Taking out the CBM before mining also makes underground coal mining hugely safer, which would be a badly needed improvement in China. Apparently, 5,000 coal miners die every year in China from mining accidents and explosions due to gas are a major contributor to these unnecessary deaths. In the USA. 29 miners (all mines, not just coal) died in accidents in 2015 (statistics from MSHA show a steady decline from the 242 in 1978). The ignorance of these science journalists is quite astonishing. The NYT article has no mention of coal-bed methane, and makes the childish assumption that coal is just carbon. I’ve just referred to the gas that is mostly lost to the atmosphere if they don’t extract CBM before mining. But what about the tar? Wind and solar will never power much of the world’s economy. The energy density, variability, and unreliability of these sources simply aren’t practical. The real solution to America’s energy problem is to produce fuel using our abundant renewable biomass, natural gas, and coal resources. Believe it or not, that ability already exists in a commercially viable and proven method called the Fischer-Tropsch (F-T) Process. The FT Process first turns a carbon source into a “syn-gas,” and then recombines that short carbon chain into longer carbon chains like gasoline and diesel fuel. There is also promising solutions like the one developed by a now bankrupt company named KiOR. It was Silicon Valley’s major attempt at producing a renewable fuel. Countless certain to eventually fail wind and solar projects were funded, yet President Obama let KiOR, with its extremely promising technology, die. Why? I can only speculate that it was because it wasn’t focused on the PC solution of wind and solar, and continued to support the dreaded internal combustion engine. Nope, the article is wrong. The energy conversion loss through the gasifier to methane is about 40%, much the same as the loss if you converted the coal to electric power. There is very little in transmission losses in piping methane around. Unless you go to very high voltage, there are larger transmission losses in power distribution. Methane is also efficient at the burner tip. So I believe that the Chinese did their sums and they get more out of their coal this way. At one stage they were going to build capacity to burn 400 million tonnes per annum, and may still be doing so. 40% loss from coal to electricity means 60% efficiency. Where do you find such efficient coal plants? Remember this is inland, so it is dependent on cooling towers.